A disaster recovery plan is a documented process or set of procedures that helps in the recovery or protection of a particular business firm during an unfortunate disaster. Such a plan is ordinarily documented in a written form. 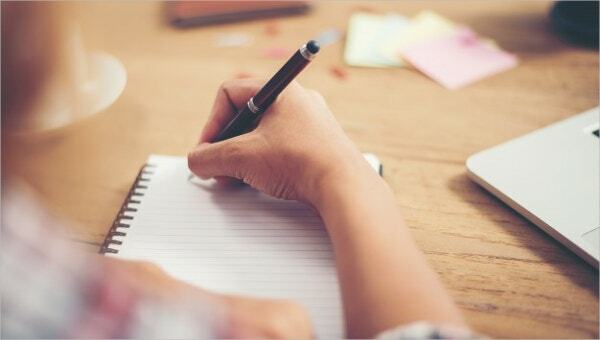 Such plan templates are immensely helpful, and through them, you can deal with an emergency situation in a proper way so that there would be minimum damage on the business front. 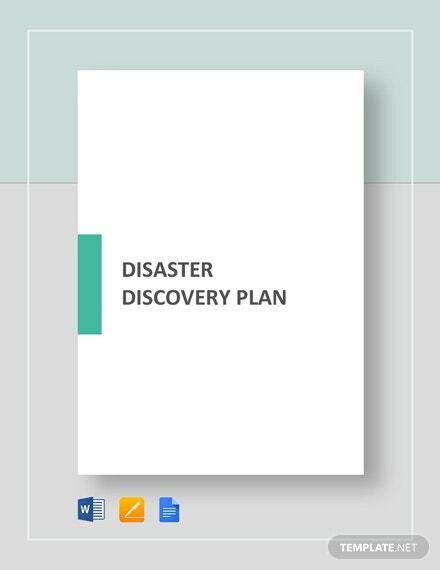 Here are some templates that you can easily implement in your disaster recovery plan.You may also see Plan Templates. 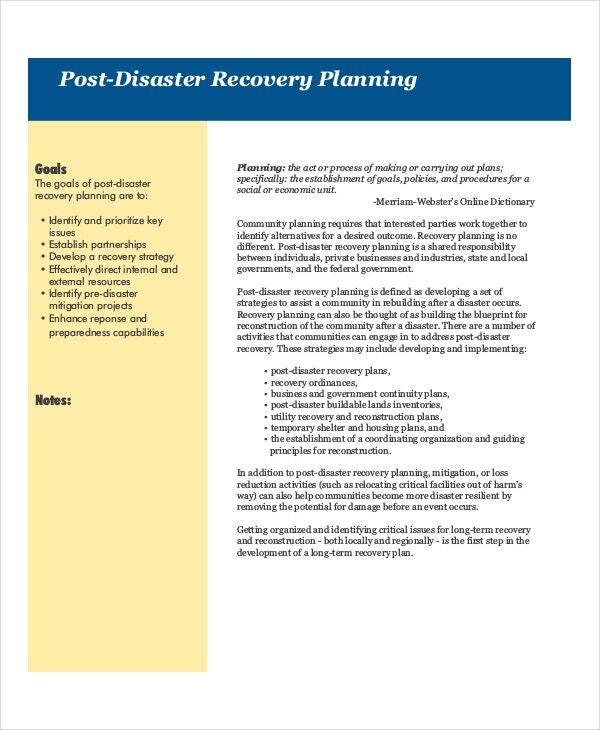 This particular template has a plain layout, and all you need to do is fill in the details like the recovery strategy summary, recovery personnel, recovery tasks and critical equipment that you may require during the recovery operation. Use this template should you deal with a disaster. 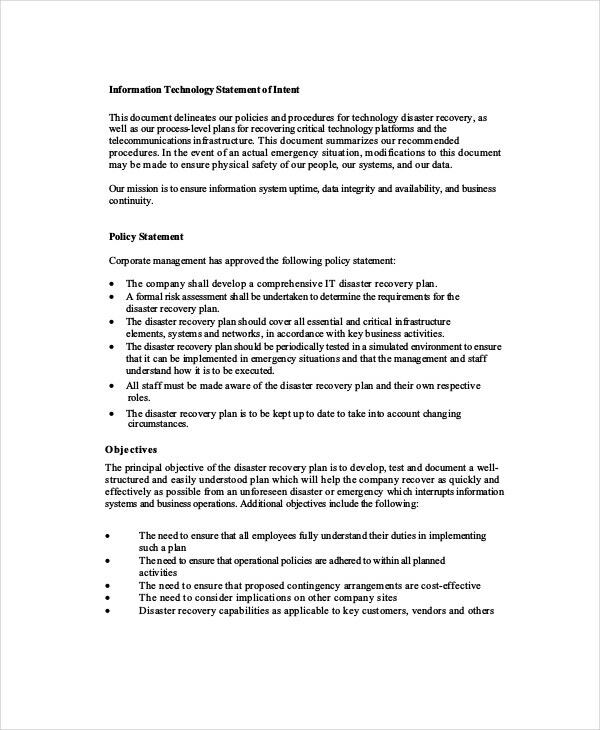 This is a detailed disaster recovery plan example that is widely used by IT companies. You will need to write about the plan objectives, decisions, and add other vital records here. 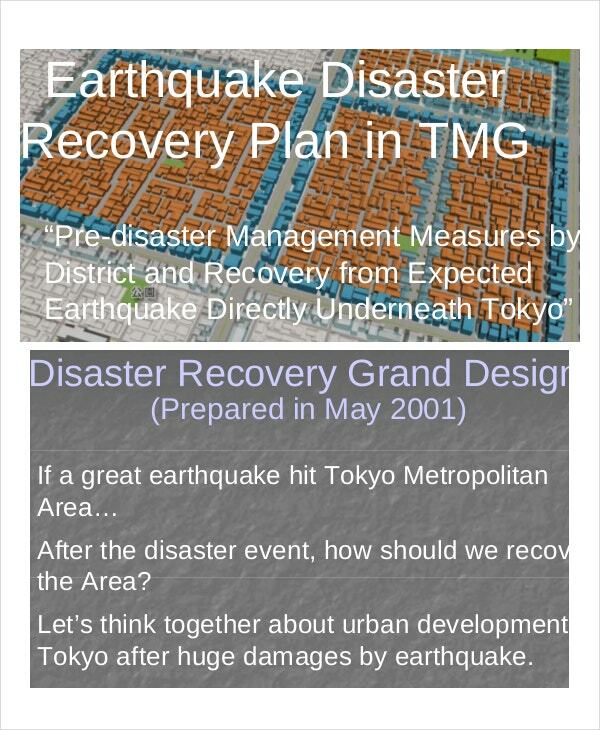 Contact information of the recovery plan team members, their assigned responsibility and how should they minimize the damage are also to be explicitly mentioned in the template. 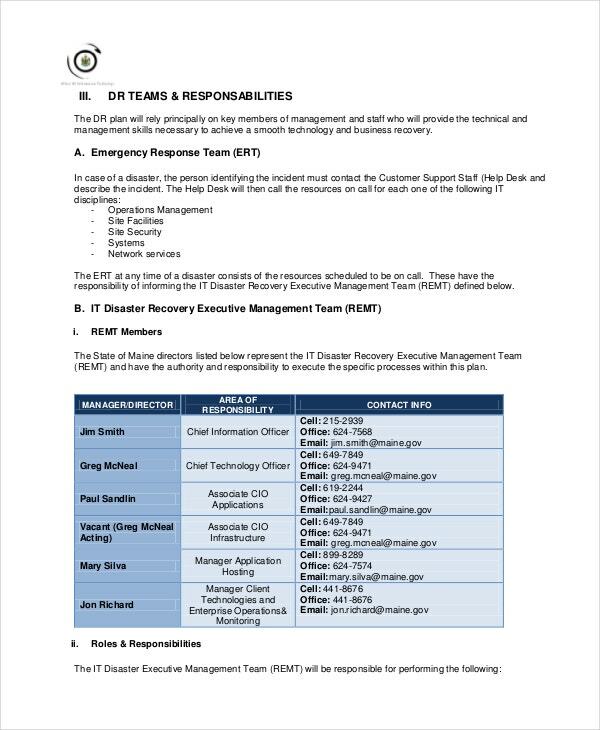 With the assistance of this template, you will be able to define the responsibility of each member of the recovery plan team, like defining the role of each member, etc. You will get a chart like diagram that you can fill up with the name of teams, its members along with their contact information. This will make the process of conducting a recovery plan a hassle free affair. 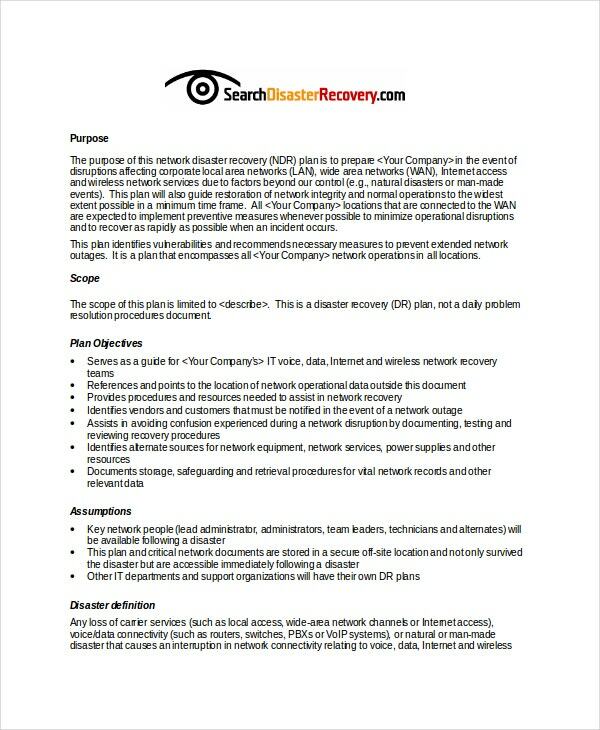 If you don’t have a network disaster recovery plan yet, download this Network Disaster Recovery Plan Template that will help you get started. This is a fully customizable template and contains all the required information that you may require to create your plan. 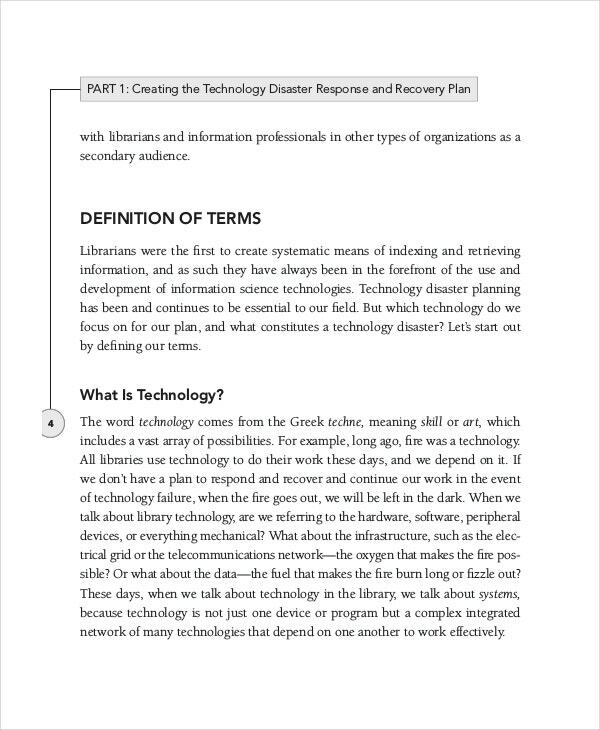 > Why You Need A Disaster Recovery Plan? There is only one simple question that you need to ask yourself so as to determine whether your business needs a disaster plan or not. Can your business continue to function without the critical data, applications, and operations? Let’s face reality. At some point in time, your data will be at risk. It could be a machine error or human error, virus or even a natural disaster. Not having a disaster recovery plan in place means losing it all. You need a disaster recovery plan for your business like human beings need an insurance policy if something out of control happens. 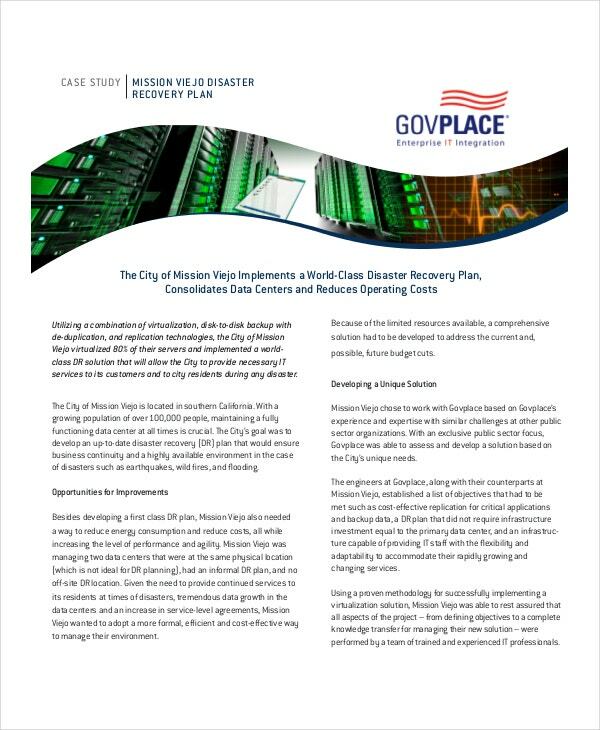 This template includes guidelines and strategies that will allow any Television Station to efficiently accomplish the steps by accessing the vulnerability of and impact on critical systems to recover operations and essential services in the event of a disaster. You can also see Crisis Plan Templates. 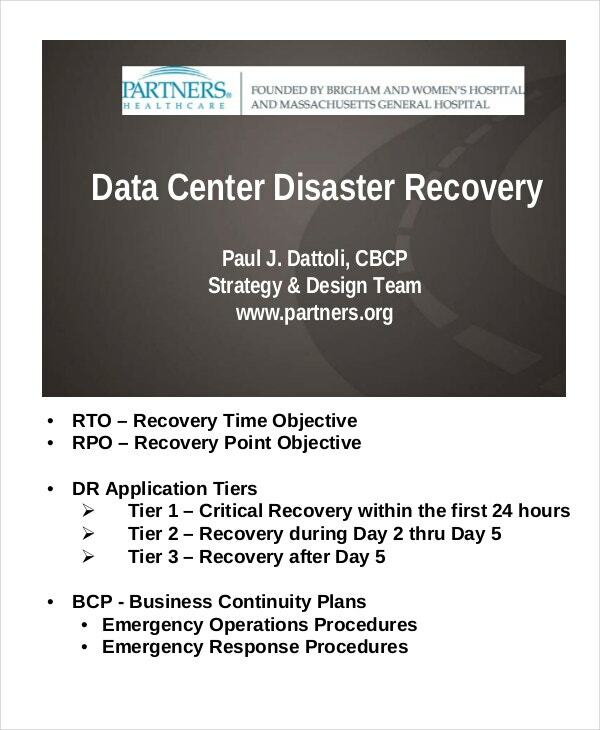 Disaster recovery is becoming an increasingly critical aspect of enterprises. As devices, systems, and networks become even more complex, there are possibilities that more things can go wrong. The disaster recovery plans help organizations to deal with potential disasters. 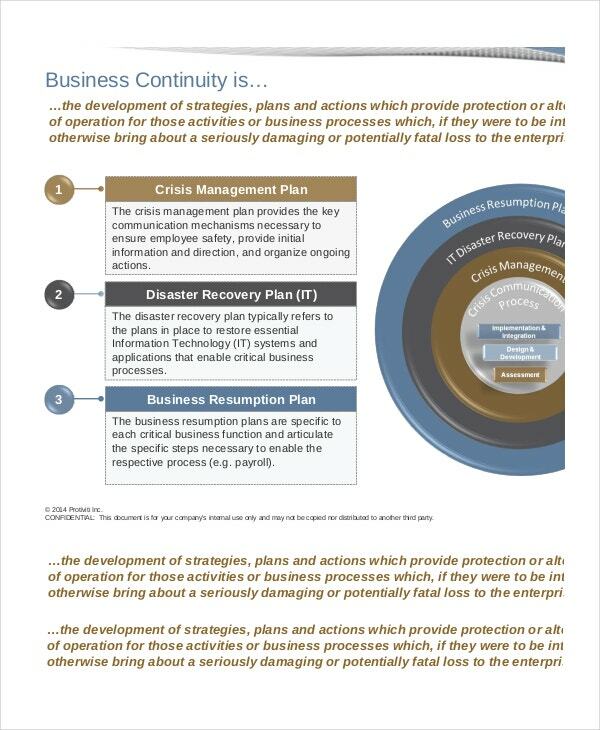 Just as a disaster is an event that disrupts the continuation of normal functions, a disaster recovery plan consists of the precautions taken so that the effects of a disaster can be minimized and the enterprise would be able to either maintain or quickly resume its day to day operations. 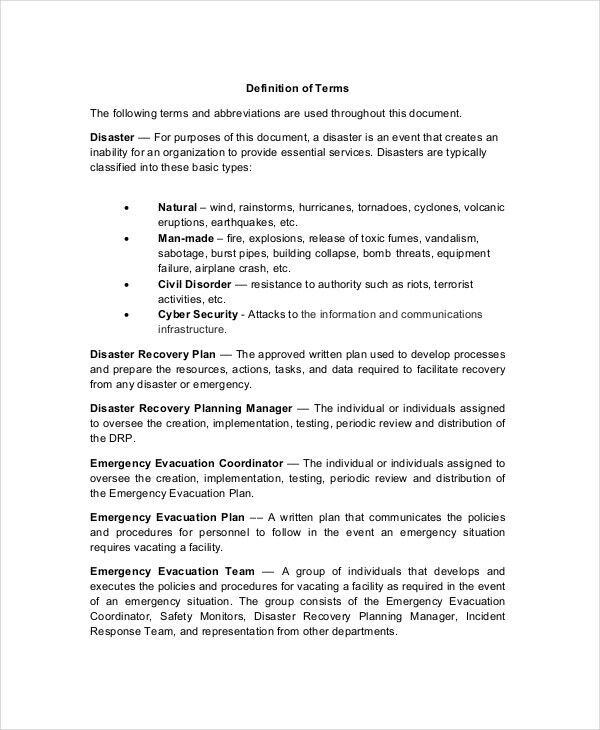 You can also see Emergency Plan Templates. 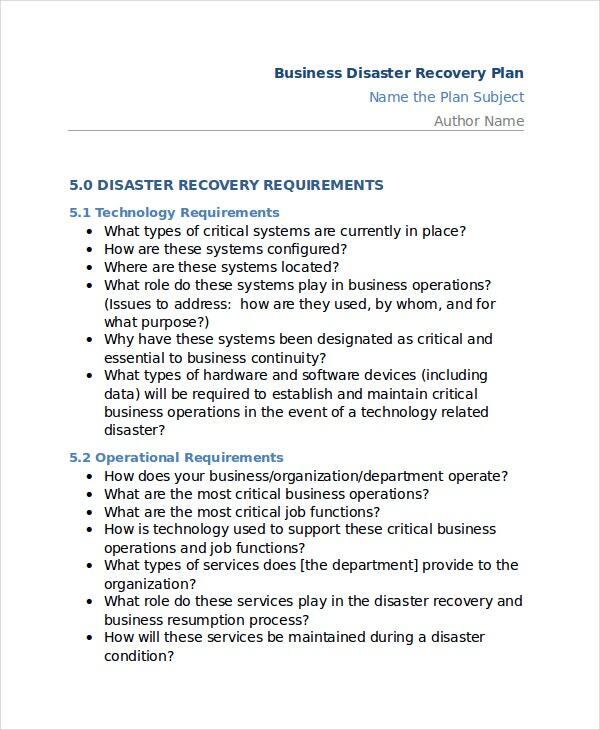 As you can see, the disaster recovery plan templates clearly can help you out in various ways. You get to provide critical information and methods to your employees and colleagues to efficiently make their way through an unfortunate disaster. Go through the above-mentioned templates to get an idea about the disaster recovery plans which will enable you to create your plans effortlessly.